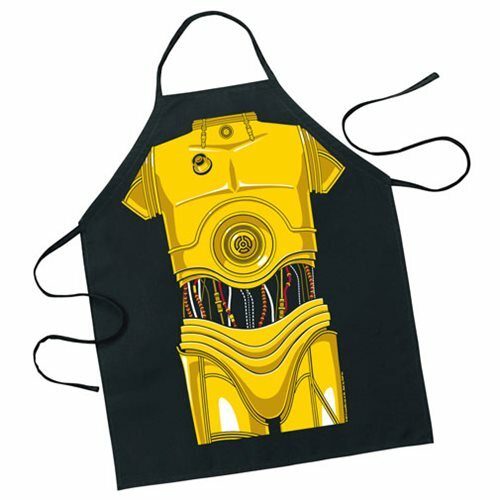 Add some cooking skills to C-3PO's litany of languages! This Star Wars C-3P0 Be the Character Apron will make you look just like that annoying protocol droid. One size fits most! Measures 24.5-inches x 31-Inches.